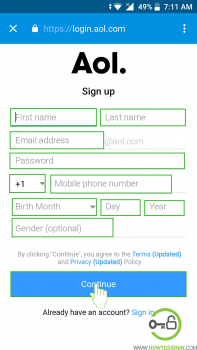 AOL Mail sign up | Create AOL Mail account now from PC or mobile. AOL is one of the most popular email service providers in the USA. With AOL sign up you can use services like instant message, News portal, web browser, photo bucket and many more. 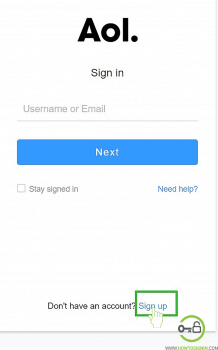 In this tutorial, we guide you on create AOL mail account using internet browser as well as mobile application. Already have an account? Sign in to AOL Mail. 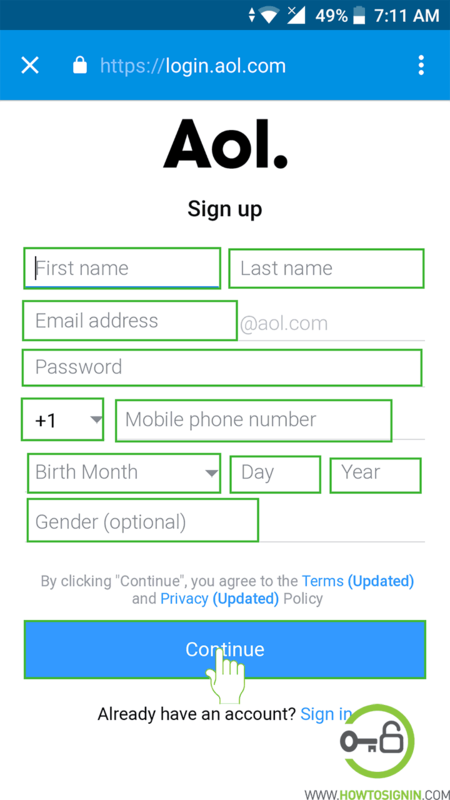 You can sign up for AOL mail from desktop/laptop or mobile/tablet. It is the quickest and easiest way to create a new account from a laptop or desktop. Visit AOL sign up page directly. Or go to aol.com and click on the “Login/Join” option towards the top right corner of the page. 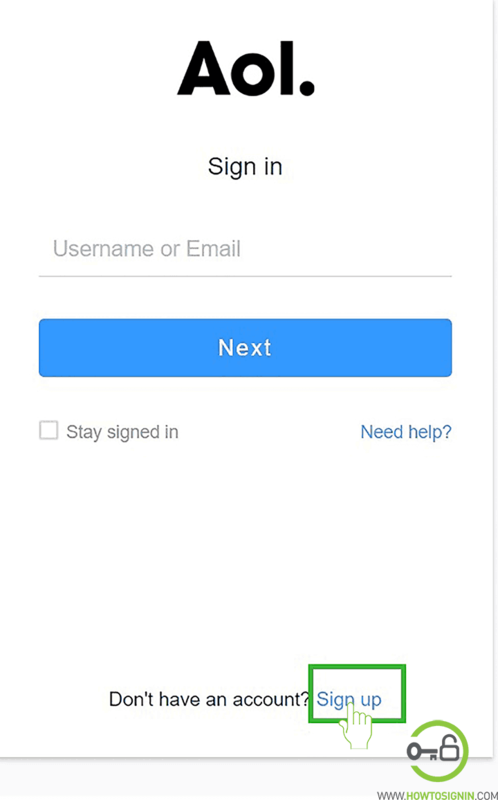 It will land you on AOL the login page, Scroll down to the end of the page and click on Sign up. Click on the place to enter your username. 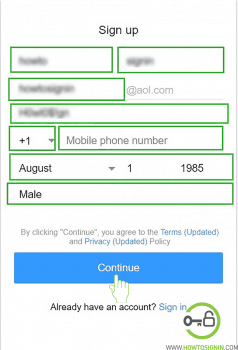 AOL will suggest the list of the username you can choose from being based on your username. However, it is no compulsion to select from the displayed list. 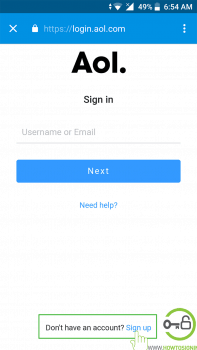 Input the password for accessing your account. Keep the password strong enough so that nobody will be able to guess your password. For this, you can create the password using the combination of alphabet, number & symbols and length of at least 8 characters. 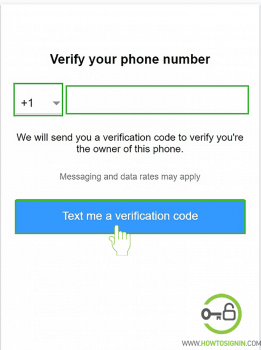 Insert your mobile number after selecting the country code. It is essential because it helps you recover the password in future. Select your Gender if you prefer. It is not the required field. You can skip this. After entering all the credentials click on ‘Continue” at the end. 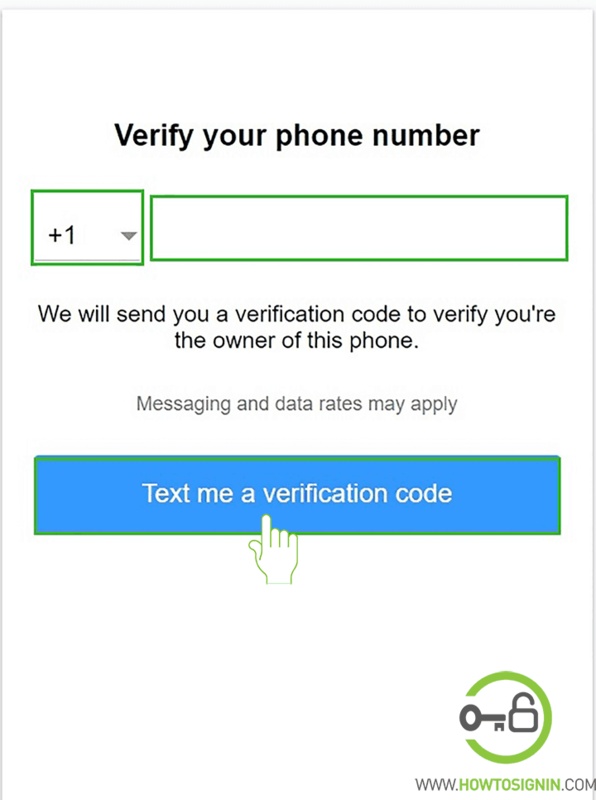 You will now receive a verification code in the mobile number you have entered. Enter that code in the box and then click on “Continue”. Finally, click on “Let’s get started” and AOL account is now ready to use. 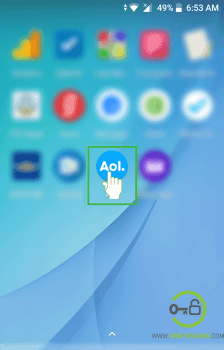 First, go to the menu of your smartphone and then tap on the AOL mail icon. Download AOL app for free, from Play Store for Android-based phone and App Store for iOS based phones. Step 1: Tap on the mail icon at the bottom left corner of the screen. 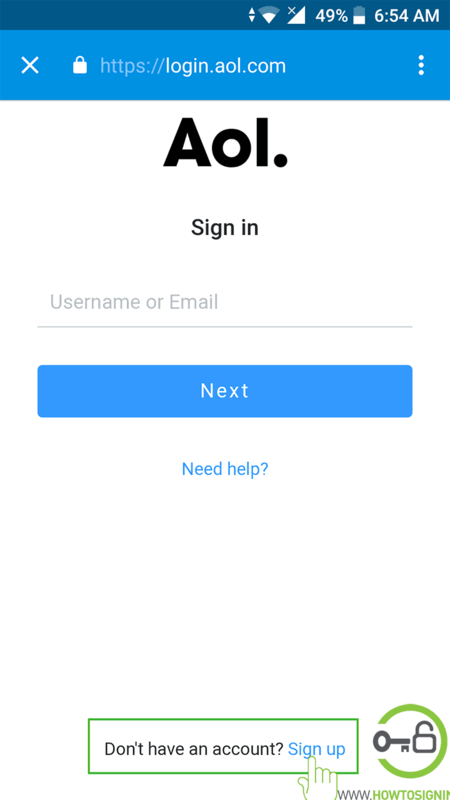 Step 2: You will now be asked to enter the email id, since you don’t have any, tap on Sign up option at the bottom of the page. Select Gender. It is not compulsory though. 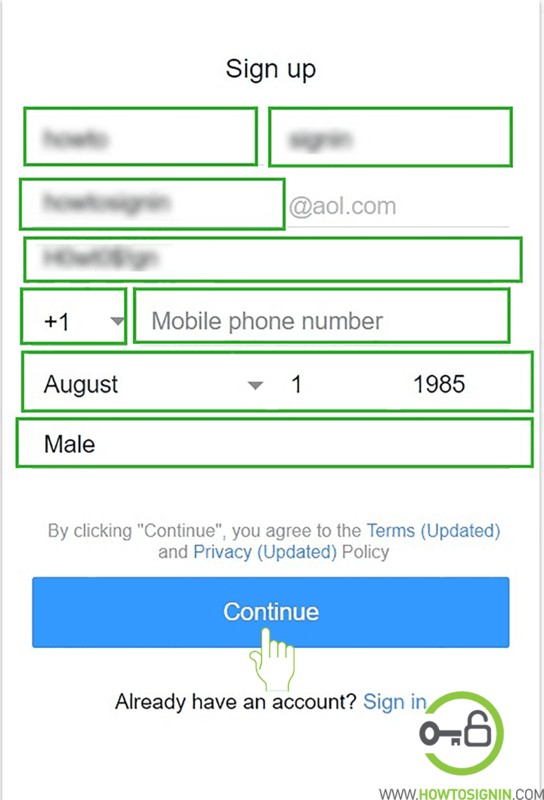 Step 4: AOL will now ask you to verify your phone number. Tap on Text me a verification code. Step 5: As you receive the code enter the code and tap Continue. A congratulation message will be displayed. Tap on ‘Let’s get started’ and your new AOL mail is all ready to use.